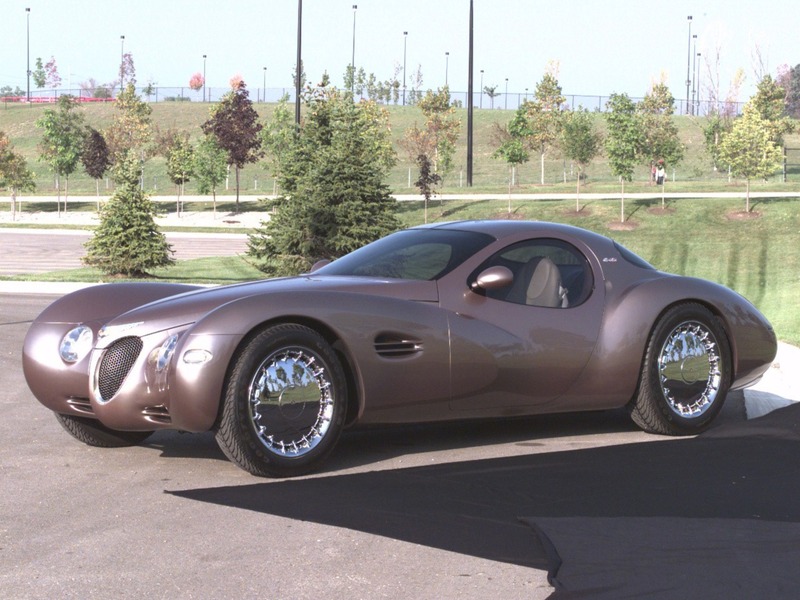 One of the most beautiful of recent concept cars, the Chrysler Atlantic recalled the styling of the classic Bugatti grand tourer of the same name. With its sculpted body, the Atlantic wore huge chrome wheels, and was powered by a straight-eight engine that was constructed with two Chrysler Neon fours. At four liters, the Atlantic engine produced an estimated 325 horsepower delivered through an Autostick hybrid transmission that allowed assisted manual shifting or fully automatic operation. The car was shown in a deep gold paint scheme that highlighted its gorgeously sculpted body.